Praise God for prayers answered! This morning we found out that a dear friend was gravely ill and would undergo surgery today. Please thank God with us, the surgery was successful! He still has a long way to go, so please join us in praying to St. Raphael for his continued recovery, wisdom for the doctors and nurses, and comfort and strength for his beautiful family. for your gifts of wisdom and grace. the young Tobias on his travels. of my soul and the ills that afflict my body. to prepare me to be the temple of the Holy Spirit. to soothe or cure our pains. Heal or cure the victim of disease. 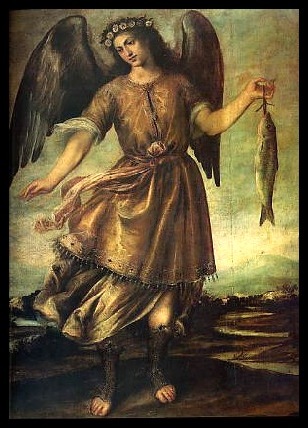 This entry was posted in Prayer and tagged prayer, St. Raphael by texasnuns. Bookmark the permalink. Have said this prayer for your dear friend, and for someone I love, too.